* Aikido Yoshinkan is a public interest incorporated foundation and doesn’t serve commercial purposes. On the photo 168-170cm high men wearing M size. 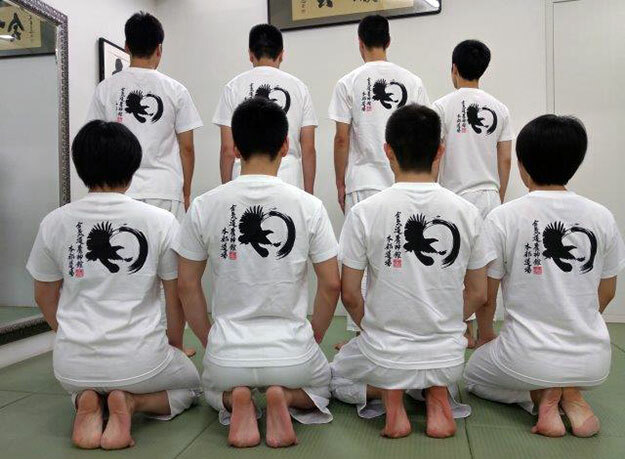 Yoshinkan headquarters’ original T-shirt now on sale for all AYF members! On the left chest AYF Headquarters printed. 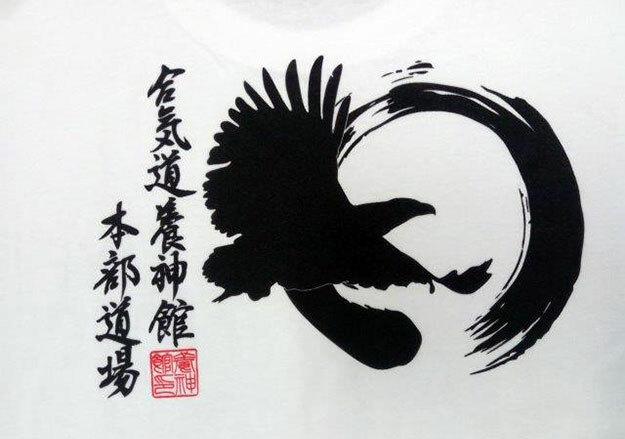 On the back is a falcon in Enso circle accompanied by Noriki dojocho’s calligraphic writing of “Aikido Yoshinkan Headquarters”. Please fill in the form to order. T-shirt in about two weeks. NOTE: For your reference, International shipping fee for 1 shirt will be approx. 500 yen, for 5 1500 yen and for 10 2500. The actual cost depends on your region and it will be just as much as Japan post charges. Shipping within Japan will cost 1000JPY. After confirming your order details, we will send you a confirmation e-mail.